Nature Ridge Organic Dairy in the Raft River Valley relied on its banker to start the new business. 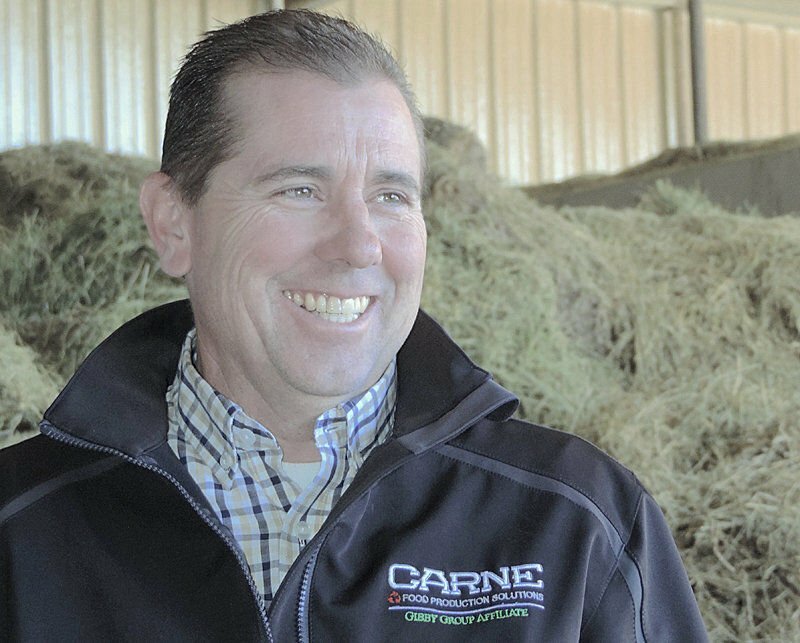 Kevin Schroeder, one of three partners who started the dairy, buys organic grain and hay in southeastern Idaho. A cow is milked in about six minutes while riding a rotating carousel with 60 stalls. RAFT RIVER, Idaho — To finance a new multi-million-dollar organic dairy, three partners in southeastern Idaho turned to their banker to make it happen. One of the partners, Ray Robinson, a member of the cooperative High Desert Milk in Burley, sought out a lender with extensive experience in the dairy industry, Jon Maughan, who works for Rabo AgriFinance. Robinson was impressed with Maughan’s communication skills. Maughan emphasized that a banker has to understand an industry and structure a company’s loans accordingly. “With startups especially, it’s imperative and challenging to design a proper loan structure until the operation gets on its feet,” said Maughan. The new business, Nature Ridge Organic Dairy in Raft River, has 2,450 Holstein/Jersey cows and 30 full-time employees. About 111,000 pounds of milk is produced daily for Glanbia Foods’ cheese production. Maughan said the success of the three partners’ previous businesses played a role in financing the new venture. Besides Robinson, other partners are Reed Gibby, who owns pig farms including one that supplies porcine heart valves to medical companies, and Kevin Schroeder, who specializes in disposal and recycling of agricultural waste products. Schroeder is optimistic about the state-of-the-art dairy’s future. “We milked our first heifer in December 2016 and are heading soon into our second lactation,” he said while watching heifers being milked on a rotating carousel with 60 stalls. A cow is milked in about six minutes as the carousel slowly rotates. “Some don’t want to get off when they’re done because they like it so much. It’s an efficient way to milk,” said Schroeder. Watching the carousel is the most popular stop on field trips.